I found this very nice type of bed you can do in your bedroom. What about bringing a hammock in your comfortable bed? 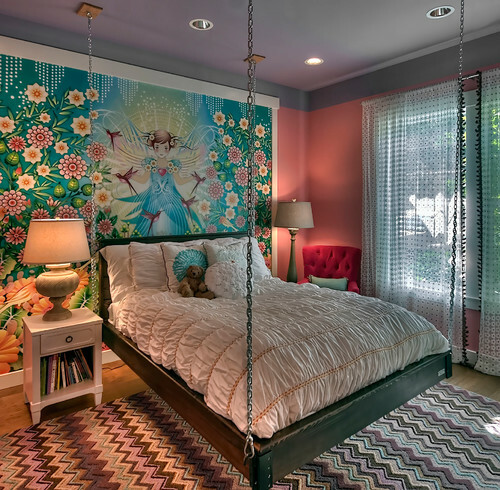 It would not be possible anymore, just for an instant this image/idea I found at houzz.com. Where the bed turns to be a hanging bed. Somewhat looks very comfortable as it makes you feel being swing while you're resting. There might be disadvantaged, nevertheless something you might want to try to innovate your bedroom.